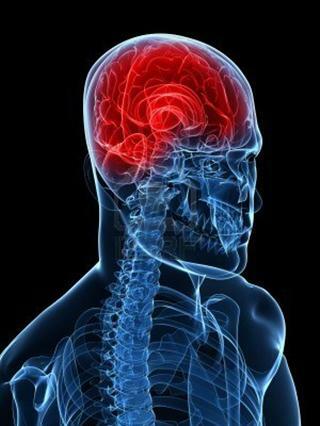 Approximately 20% of Migraine attacks do have an Aura. An Aura involves symptoms that precede an impending attack of head pain including- visual symptoms (blurred vision, blind spots etc) and sensory changes such as pins and needles in the face or hands and arms (amongst the most common symptoms). Classic Migraine typically involve an Aura followed by the head pain itself. Aura is believed to be due to a constriction of the blood vessels leading to the head and brain with a corresponding decrease in the blood flow to the head and brain. The head pain itself is believed to be due to the vasodilatation that follows and possibly the release of pain chemicals which are released during an attack, sensitizing the nerves in the region. Aura aside, the pain of a classic migraine is usually similar to that of a common migraine and the main distinction is the presence or absence of an Aura. As with common migraines pain is usually on one side of the face and head but may change sides between attacks or even during attacks. It is also important to note that many migraines have a number of ‘ingredients’ which combine to produce an attack. For further information please see the rollover sections on the homepage head illustration to see specific problems in specific parts of the head, neck, face, diet etc.